Color is a powerful tool. It can get you excited, inspire you and even help you relax after a stressful day. 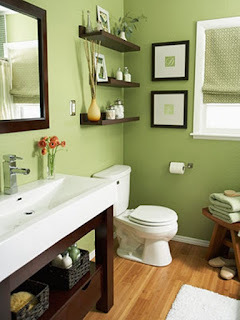 One of the places we spend the most time in during our day-to-day is our bathroom. We get ready in there, sing in the shower, shave and basically do all we can to feel like the best version of ourselves that day. 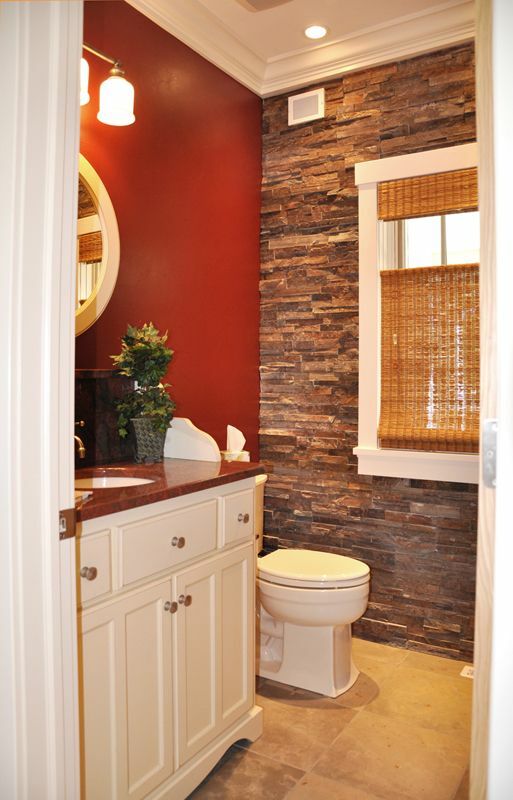 Since we spend so much time in the bathroom, we believe your bathroom should feel like your throne. One of the best ways to get it there is through color. Now, painting your bathroom is a challenge in itself and can lead to a lot of headaches and arguments if you’re living with someone else, but it’s still worth it. To help get your wheels turning, we’ve picked out a few of the best paint colors for modern bathrooms. We hope our choices inspire you to pay special attention to your bathroom and help you transform it into one of your favorite places in your home. 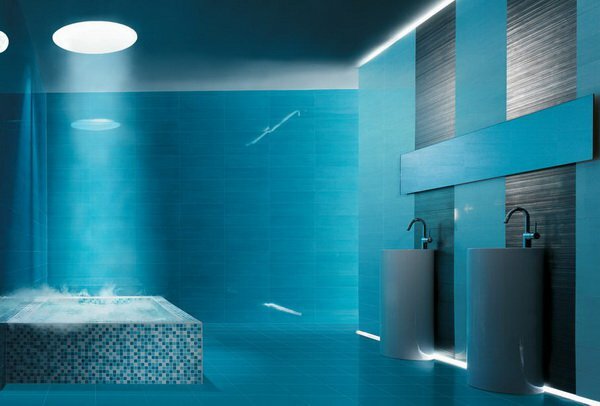 Blue might not come to mind at first, but we picked it because it will create a nice color spectrum in your bathroom and help you feel calm. Some say the reason blue is so relaxing is because it’s the color of water and it’ll make you feel steady and weightless at the same time. We recommend experimenting with different shades of blue and putting them side-by-side in your bathroom for a modern look. Are you the type of person who just wakes up in a good mood? First off, we salute you. Second, we believe you should have a bathroom that’s just as bright and positive as you. 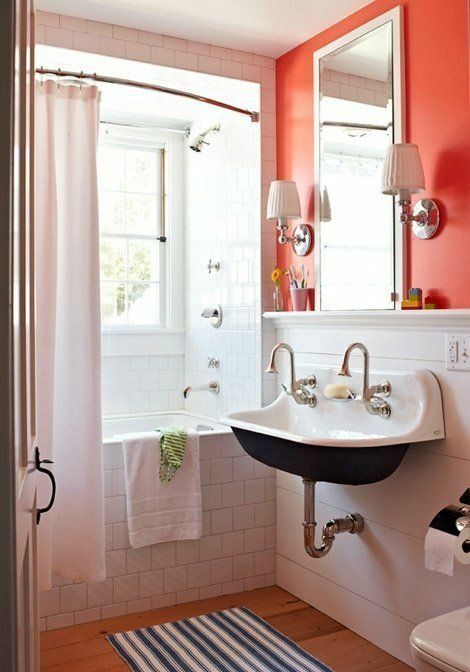 Consider using a coral palette in your bathroom. Coral is uplifting and invokes feelings of romance about life. It’s all about finding the right shade of coral, too. A shade of coral too strong may make you cringe, so make sure you take a good look at the color scheme. If you wake up not quite so sure how you’re going to get through the day, we suggest going with a nice light shade of green. Because green is the color of leaves and flowers, it reminds us of the beauty of life itself and gives us a good energy. 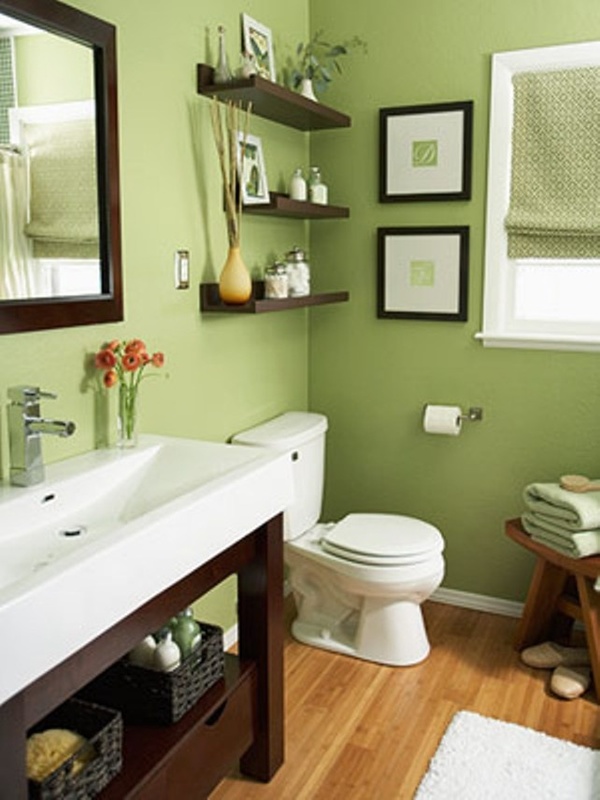 Green is also good if you want happy energy in your bathroom but you don’t want anything too loud. This color will be just enough to make you smile in the mornings. A few years ago, some of us might have shuddered at the thought of putting red anywhere. It’s much too strong, they would say. However, times have changed and strength is now valued instead of shied away from. If you need a little boost of confidence in the morning, try painting your bathroom a warm shade of red, perhaps burgundy. Burgundy is sturdy and will help you feel like your feet are firmly on the ground while also making you feel pumped up. No matter what you decide, make sure you sit on the idea for a while and truly explore your options. Painting your bathroom takes a lot of work, and while it’s easy to just paint it another color, it’ll take many more hours to complete. Think about how you want to feel in the morning or whenever else you go to your bathroom. Once you pinpoint the feeling, you won’t go wrong. Have an idea about modern bathroom colors? Let us know in the comments below!